The Greatest Show On Earth【HD】320kph / 200mph Street Race ★ ‘ISLE of MAN’ TT ★ from Locck9 on Vimeo. We’re going WEEKLY! =================== THE 2017 EDITION Join us at The Dew Drop Inn, for the SUMMER EDITION of our WEEKLY swap of stories all wrapped up with a good pint! The Dew Drop Inn is an amazing pub just over the tracks from Brookland. A great outdoor patio and plenty of off street parking right in front of the bar. 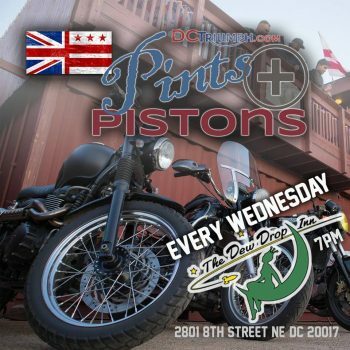 Created in 2012, DC Triumph is a group of riders and enthusiasts based in the greater Washington, DC area. Got some news to share with us? Email us at kevin@dctriumph.com.